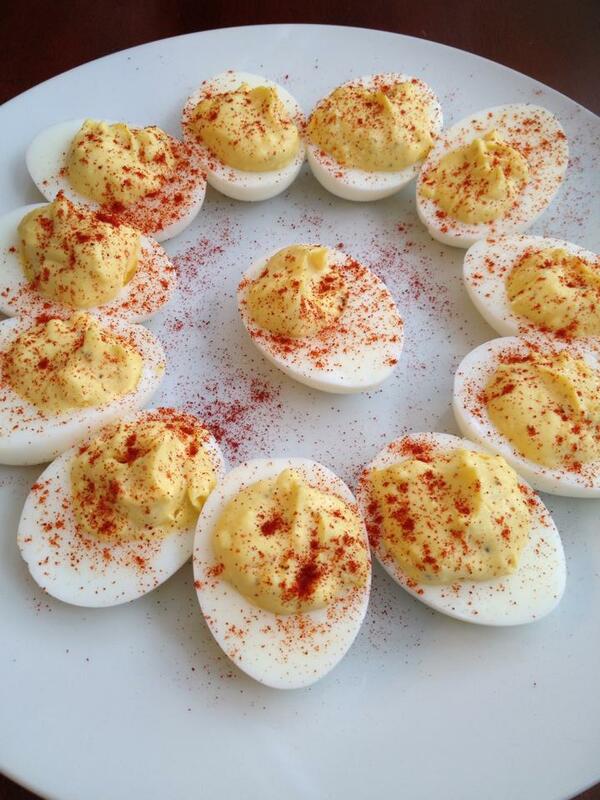 I think one of my favorite things I can have with low carb is deviled eggs. I LOVE these, and they used to feel like such an indulgence. To be fair, they still do, but I do not feel the guilt associated. This was incredibly easy, and it tasted great. I would probably use a hand mixer or mini food processor to mix the filling because it is very difficult to get all of the lumps out. Cut the eggs lengthwise. Remove yolks and put into a bowl or food processor. Add remaining ingredients (except for the paprika) to the yolk bowl. Arrange the egg whites on a plate and spoon in the yolk mixture (I use two spoons as if I were putting cookies on a sheet to go in the oven). Sprinkle with paprika. Previous PostWho is ready for this? Let’s do some low carb Whole30! Next PostTWO ingredient Mahi Mahi burgers with garlic mustard aioli!